High end clothing stores and boutiques, expensive restaurants, plush hotels, and random celebrities just hanging out. 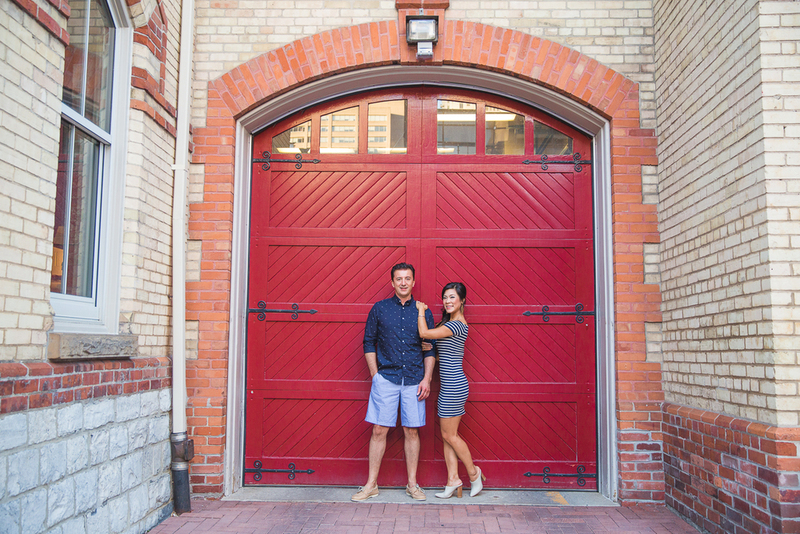 It's no wonder why Doug and Karen chose Yorkville as their backdrop for their engagement photos. You literally can't go wrong in this location. The weather was not too hot, just right, the lighting was awesome, and the couple looked AMAZING. From the patches on Doug's shirt to Karen's purple flowing dress, it was a recipe for success. I can only imagine what they'll look like on their big day. Take a look at the magic we created, and leave some feedback and comments.